When getting organised ready for the kids to go back to school, there was one task that I avoided, labelling the kids clothes. I admit, I just can't sew. Luckily for me, my mum can, so this job has always been one that I've left up to her. Stuck On You were kind enough to send me a set of clothing labels personalised with Gracie's name as well as left and right shoe labels. This meant that I could take on the task of labelling the clothes myself. 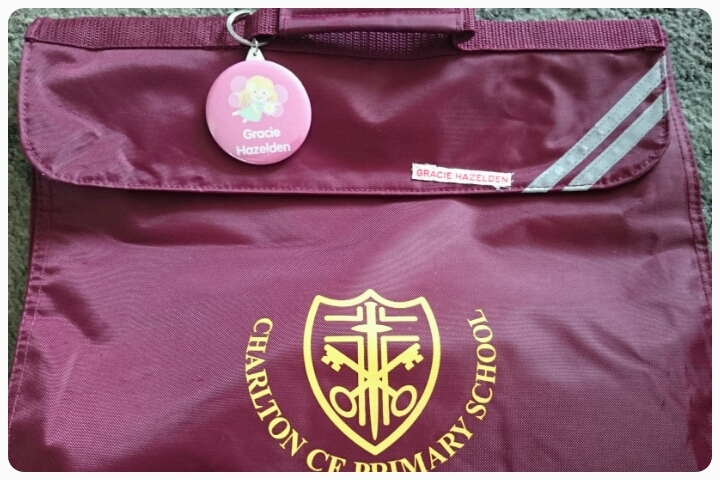 I received a mixture or stick on labels and iron on labels as well as a personalised bag tag. The name chosen is clearly written on each label and the lovely thing about these labels is that you can pick to have different designs on them. 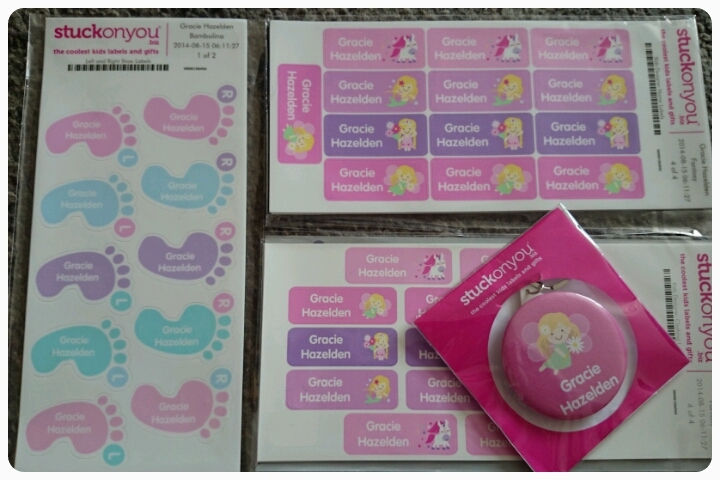 Gracie being a girly girl opted for the fairytale looking ones with fairies, princesses and unicorns. The bag tag was popped straight on the school bag with ease and because of how thich the key ring is, there is no danger of it breaking or slipping off. Now the other task I'm not so great with is ironing. 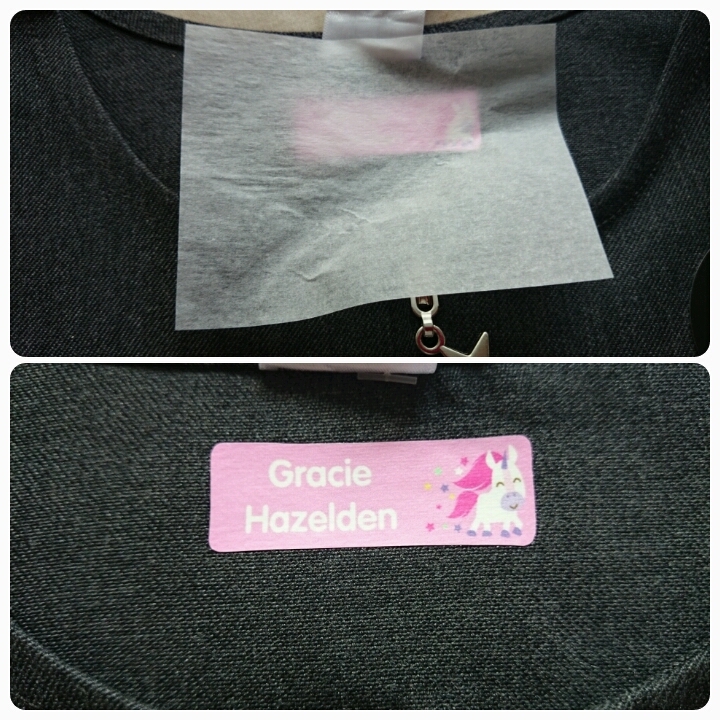 So if I can use Stuck On You iron on labels then anyone can. To use, simply place the label facing up where you want it on the clothing, pop the parchment paper provided over the top and then hold a hot iron over them both for around 10 seconds. You just need to make sure that each edge is fully stuck down before stopping. The end result, a unique label that not only does the job of letting you know who this piece of clothing belongs to but it also looks good too. These labels are stuck on so well that not even repeated washing can budge them. My children can't be the only ones who constantly muddle up which shoe goes on which foot!! How they manage to squeeze them on the wrong foot is beyond me. Gracie helped to stick each one in all of her pairs of shoes. This was a fun task to do together and she was actually learning as she was doing it. The great thing about these is that not only was she learning about her left and right side, because they are personalised there is no need to worry about someone else acccidently picking up the wrong shoes at school. 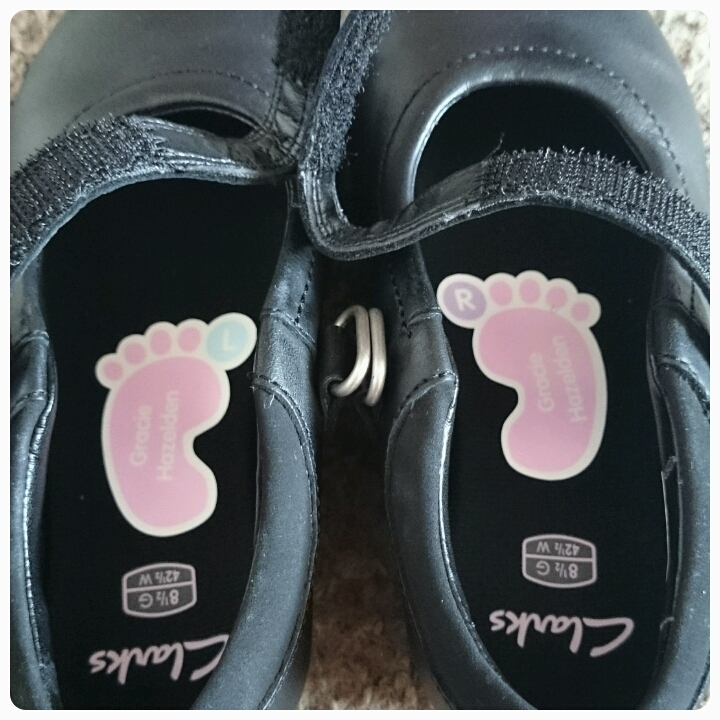 Gracie has been wearing her shoes for a while now and there are no signs of the stickers coming unstuck at all. My conclusion, I love Stuck On You labels. These labels not only stand out from the crowd, they are extremely easy to use too. With value packs starting from as little as £13.99 and shoe labels starting from £9.99, they are all great value for money. You get so many in a pack that I doubt you'll need to buy anymore for the rest of your child's time at school. Disclaimer : I was sent these labels FOC for reviewing purposes however all thoughts and opinions are my own.